The protocol chief of the Ethiopian prime minister, Baye Tadesse Teferi, has decided to seek political asylum in the United States. 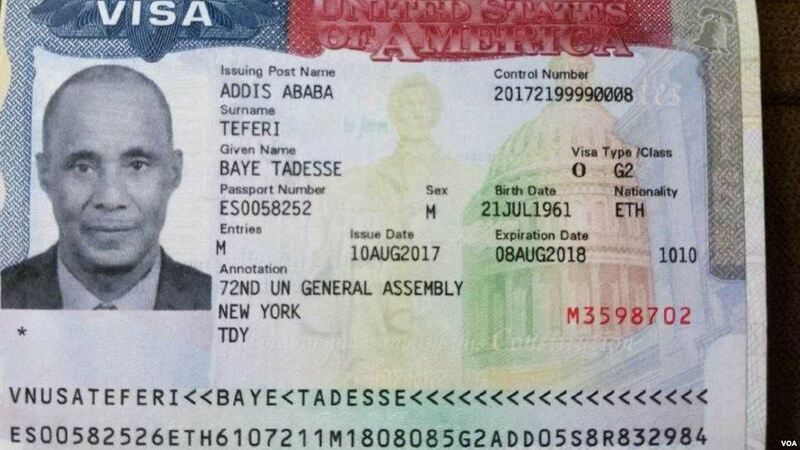 Baye Tadesse, who served for more than two decades in Ethiopia, has shared with VOA the cause of his decision to quit in the United States. Prime Minister Hailemariam Desalegn attended the 72nd United Nations General Assembly in New York, which was attended by Mr. Baye Tadesse before defecting.